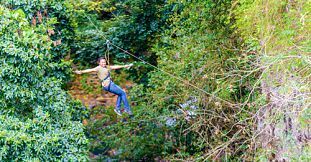 For those looking for adventurous nature activities, the selection is vast and you are sure to find your preferred activity that will thrill and challenge you while offering breathtaking views and unique nature discovery experience. 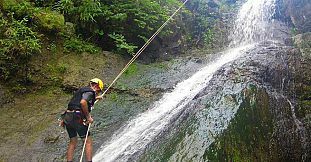 For the more courageous ones, it possible to test your courage by jumping a 7 meters cliff jump into the water during The Half Day Canyoning trip to Tamarind Falls or discover waterfalls and crystal clear ponds of Rivière Papayes. 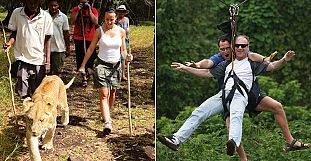 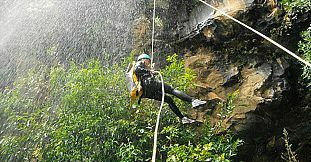 In addition to the traditional canyoning activities, we offer a range of great nature activities such as Zip Lines Treks for those wishing to experience flying like a bird (at Galets River, Yemen Reserve and Vallee des Couleurs), mountain hiking, treetops adventures on Ile aux Cerfs and many more. 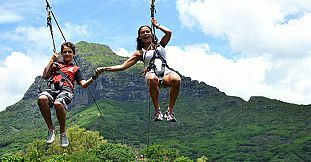 These exciting trips are done in different regions of the island, allowing you to discover the various landscapes and luxurious fauna and flora of Mauritius. 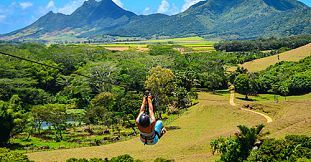 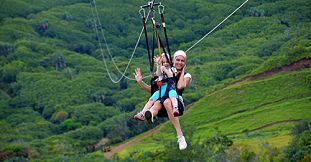 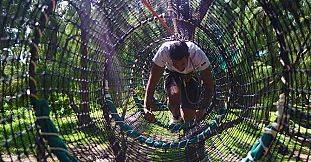 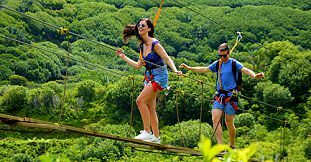 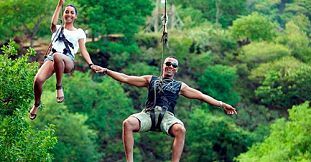 You will find below exciting, adrenaline-charged schedule of adventure activities suitable for almost all ages catering for everyone from the less adventurous to the extreme lovers.